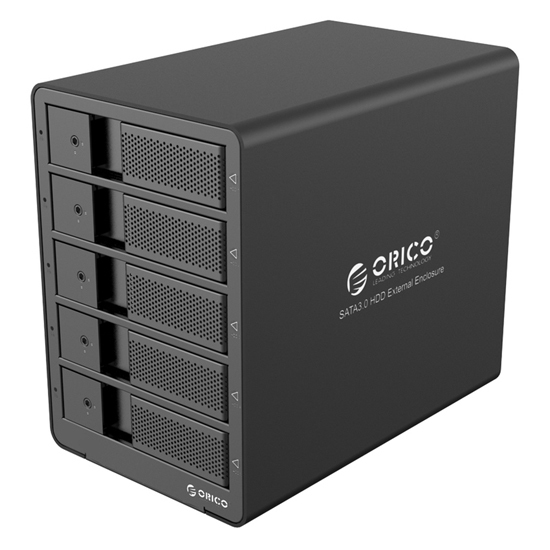 Compatible with 3.5 inch SATAI, II interface HDD & SSD, it allows users to mount 5 hard drives at the same time. Tool Free installation, simple and elegant, sophisticated aluminum surface texture, it is the best choice to show your taste. faster than USB2.0, it will spend less time for syncing mass data, save more time for you to do other things what you want, never fall behind, bring amazing experience to you, so what are you waiting for? It can be external on the desktop, Plug and Play, no driver installation needed, easy to use, suitable for home and office use; power adapter provides a stable power supply, compatible with most mainstream systems, such as Windows, Linux and Mac Desktop & Laptop with available USB host.